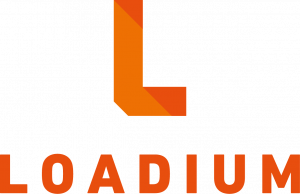 In order to set performance criteria into your performance test, you need to add KPIs via Loadium’s web interface. After you upload your scripts, go to the Test Failure Settings tab. There are 4 fields to fill out to create a KPI. Label: This is the request name in your JMeter Script. KPI: Metric type you want to check. Comparison: Comparison type for your metric. Threshold: Numeric value to check. There are 10 types of KPIs. There are four types of comparison types. When you add a label, the name must match the request name in your JMeter script. In case it’s not a match, Loadium will not be able to match them and won’t produce a result for that label. In case label is set to “ALL”, every request in your JMeter script will be analyzed according to the KPI and comparison type. If hit count of “Pricing” request is less then 600, criteria will fail. If the average response time of “Main page” request is greater than 1200ms, criteria will fail. By this way, you will be able to define your non-functional requirements into your performance test without changing anything in your JMeter scripts. Successful criteria will be marked with green color. Failed ones will be marked with red color.